The JB Carr Victorious Team Munster Semi Final Winners; The team met Castletroy on Thursday 19th. July in Castletroy on the away leg of the Munster Semi Final. All five Templemore parings won very decisively over Castletroy. This win was unique in that all Templemore parings won their matches against such a prestigious club like Castletroy on their own Golf Course. Certainly a proud day for all the team members their families and also for Templemore Golf Club. The team manager Liam Leahy congratulated the Castletroy team on their great sportsmanship, and to his team on their decisive win. The evening was wonderful for golf and the course was in magnificent condition. Every member generated great energy and played with great skill. The golf journey for this great team to get to this stage of the tournament has defeated the best and most prestigious 18hole clubs in the region, County Clubs; Roscrea, Tipp Town, Clonmel, Munster Clubs; West Waterford and Castletroy. All were at home and away, a total of 12 matches. It is a great and proud achievement for Templemore Golf Club. The Team members were; Seamus Bourke, Michael Keely, Gerry Keegan, Tom McGrath, Dinny Tuohy, Liam Daly, Ambrose Purcell, Tom Kenny, Bernie O’Rourke, Bertie Keane. Reserves; Martin Bohan, Paddy Bourke, John Mullaly, Michael Webster. The next leg of this Munster Final will be against Mahon Golf Club in Cork, another 18hole prestigious Club . The dates are as follows: Away Game; 1st August, and Home Game; 10th August, with a 2pm start on both days. Presidents Prize update, Phillip Ryan and Bernie Stapleton; Final arrangements are taken place for this great club event. Friday 27th. and Sat 28th. The Time Sheets are available in the locker rooms. Friday is for those that cannot compete on Saturday. Presentations of prizes will be in the Templemore Arms on Sat Night 28th. There will music, Dance, Food and Raffle to make the night a wonderful occasion for Phil and Bernie. Full support from all members will be appreciated. Presentation of Men’s prizes; Lady Captain, Sara Hearne in the absent of Club Captain Tommy Foley made the presentation of outstanding Men’s prizes on Wed. 11th. Competition Secretary Liam Leahy and Communication Officer Martin Bohan also congratulated all winners and thanked all for their support in attendance. Juvenile Golf Lessons Update; Juvenile Golf Lessons is continuing every Friday at 10am. All Juveniles are encouraged by the Club Juvenile Officer Pat O’Connell to continue playing over school breaks and the summer months. Any information required or those who would still like to enrol, contact Pat O’Connell 087 9205821. Sunday Competition: A great turn out for this Saturday and Sunday event. The Winners for Sat 14th. and Sun.15th. were; 1st. Conor Scott, 2nd. Ambrose Purcell, 3rd. Michael Purcell. All members are requested to make a great effort to participate in this week-end of Golf competition. Ladies Golf; President Philip Ryan and Lady President Bernie Stapleton will hold their President’s Prize next Saturday July 28th. We expect large numbers to play in these competitions to honour both Presidents. Presentation of prizes will take place in the Templemore Arms on Saturday night followed by music and dancing. The President’s social mixed; The President Social Mixed will take place this Wednesday evening at 6.30 pm. Results: Monday July 9th- 9 Hole qualifying; 1st. Mary Hogan 18pts. Tuesday July 10th-18 Hole Stableford; 1st. Mary Ann Maher (24) 37 pts, 2nd. Anne O ‘Rourke(23) 37pts, Tuesday July 17th-18 hole Club competition; 1st. Mary Lou Carroll (20) 37 pts, 2nd. Ann Kenny (30) 36pts. Social mixed Wednesday 18th July: Gross -Sean Lee, Mattie Bourke, Sara Hearne. Net – Liam Daly, Timmy Tuohy, Mary Moore. July 31st- 18 hole stroke sponsored by Mossie Shanahan Butcher. Aug 7th- 18 hole stableford sponsored by Centenary Co-op. Aug 14th-18 hole stableford Club. Congratulations to the men on a great win over Castletroy in the semi-final of the Munster region of the J B Carr , we wish them the very best of luck as they progress to the Munster final. 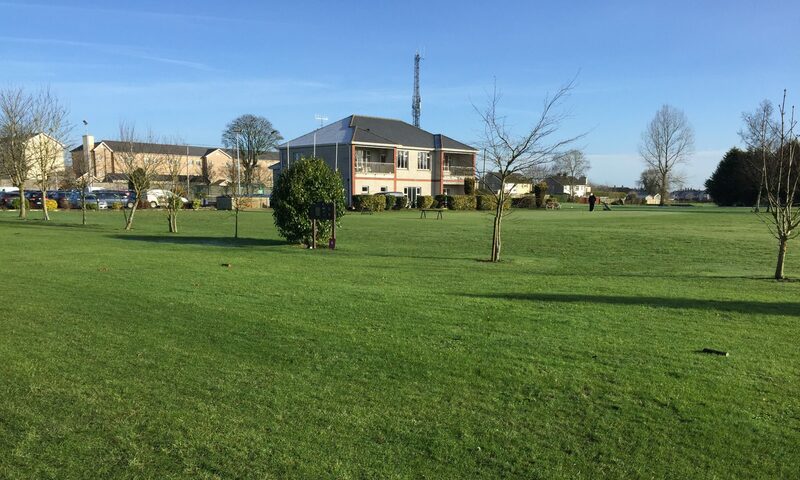 Playing Golf on Templemore 9 hole Golf Course has its advantages; A magnificent Golf Course to test your golf skills. Templemore Golf Course is available to all golfers, especially to those that want to return to the game also to members and non-members and members from other clubs to get in your practice rounds, beginners, Active Retiree’s and families who want to take up the sport will get assistance from any committee member, (refer to web site for committee member list) here are some positive reasons for golfing in Templemore Golf Course; Golf can be good for your health and your heart. Walking an average course for a round of 18 holes of golf can be between five to seven kilometres. If you walk 18 holes three to five times a week, you’ll get an optimal amount of endurance exercise for your heart. If you pull your clubs or carry them, you’ll burn even more calories each round and benefit even more. Playing golf regularly can help you: Stay fit, Improve muscle tone and Endurance, Lose weight and body fat. Golf can also be a great way to keep in touch with friends, help in reducing stress as a result of the physical activity and also due to the pleasure of walking in an open and natural environment, provide opportunities to meet new people, help develop a sense of community connectedness. Golf can be a very social and enjoyable sport. While you compete against others, you can also compete with yourself to better your previous best score. Templemore Golf Course provides Good Social occasions, Presentation Nights, Social Mixed, Senior Events and Away Trips. The Handicap System allows members of different abilities an equal chance of winning. Various Category of Memberships are available at different rates. (Membership option rates are on our web site). Full Annual Membership €350 = Approximately, only 95c. per day. New members are the lifeline of the club, so all existing members are encouraged to tell all your friends to take up membership and test their skills on this challenging Golf course. Registrations Forms for new members are now available on-line on our web site, or at the club house or contact Martin Bohan 087 0509278 or any of the committee members. All are welcome. The Seniors; The Seniors is a fantastic event for retired golfers to return to the game with like-minded golfers. If you are over 55 or retired, from any distance you will be more than welcome. Results are as follows for Thursday, 19th. July. ; 1st. John Mullaly, John Brown, Tony O’Toole. Seanie Gleeson. 2nd Team; John Galvin, Frankie Short, Pat O’Connell, Phillip Ryan. 3rd. Team; Joe O’Connor, Paddy Nolan, P.J. Leahy, Tom Hogan. Announcement; President Phillip Ryan announced his President week-end commencing on Friday 27th and Sat 28th. July followed with presentations and entertainment in the Templemore Arms on Saturday night 28th. July. Next Seniors on Thursday 26th. July. LMC; Congratulations to Frankie Shortt on his win in Class 1, in Ballinasloe on 16th. July. 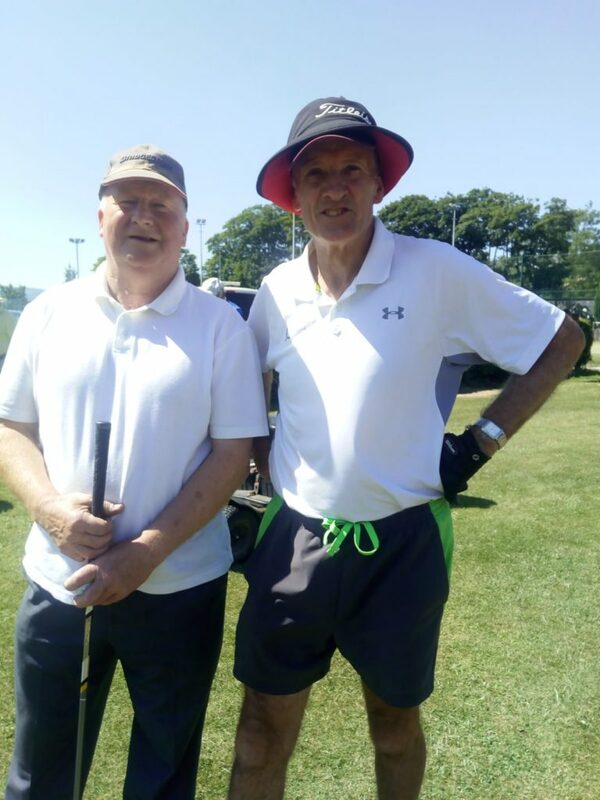 Templemore Golf Club Seniors currently in the top 12 placings are; Pat O’Connell 185, Liam Daly 176, Bertie Keane 178. A space to watch. Well done to all and continued success. 27th. and 28th. July. Men’s and Ladies President Prize.